Sorry I've been such a bad blogger this year. I've been trying to eat better this year which means grocery shopping and cooking instead of grabbing takeout or frozen convenience foods so it's cutting into my crafting and blogging time. I guess everything is give and take. I do like to cook and I've tried some really great receipes in the last couple of weeks so I am enjoying it. Just wish my crafting time didn't have to suffer since I do so enjoy that too. Ok, enough about me let's get on with the crafty stuff. How about some Valentines. 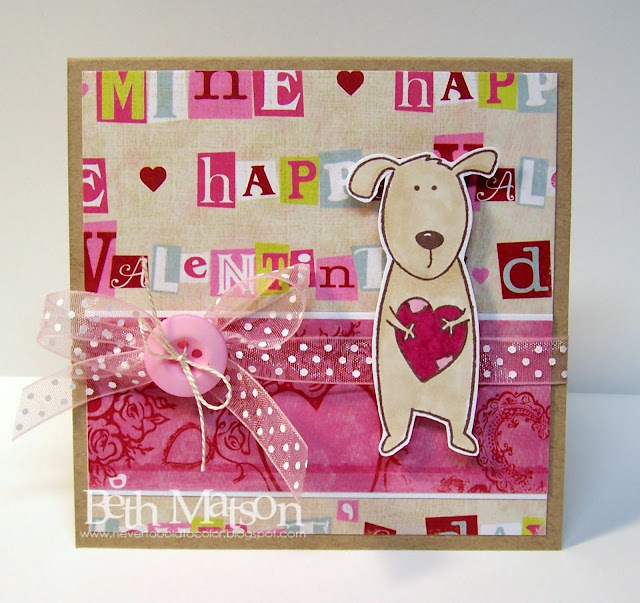 Love this little puppy from Whipper Snapper! 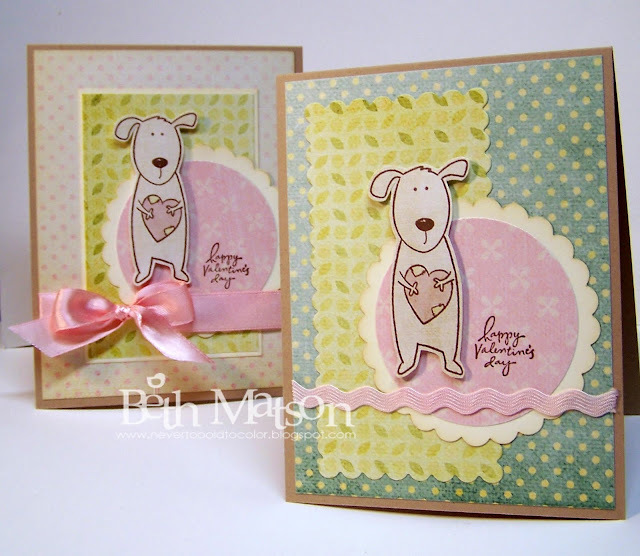 For the top cards I paired him up with Digital papers from the Tiny Princess Collection from The Digichick. 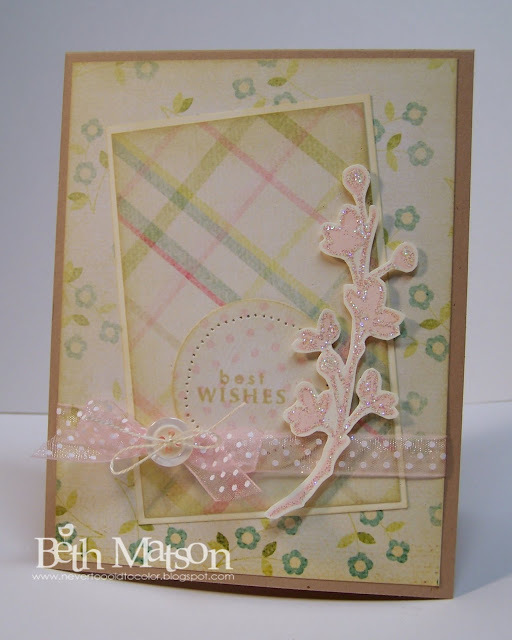 The bottom card uses papers from K&Company's Lovely collection. Thanks so much for stopping by. I hope you all have a wonderful weekend. Beginning February 2010 a new app for your iPhone or iPod Touch will be available. 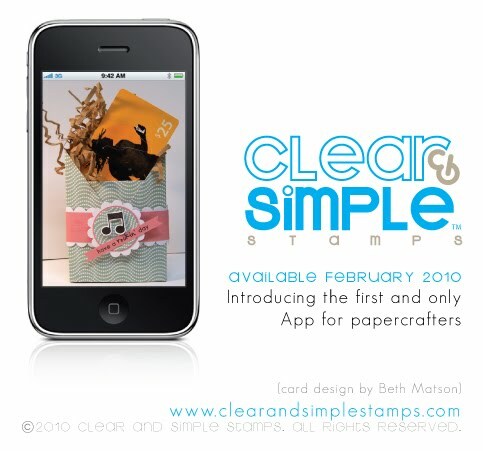 Clear & Simple Stamps has created the first and only of it's kind papercrafting app. Yeah! The app will feature a papercrafting project each day and include "how-to" details along with a buying guide if you want to recreate the project. If you're attending CHA stop by the Clear & Simple Stamp booth (#659) to hear more about it. You can also check out the CHA Innovations Showcase for more samples using the MP3 Darling set used in the photo above. Clear & Simple is in the running for "Most Innovative Product for CHA Winter" with this app. I don't know about you but I think it's a winner for sure! 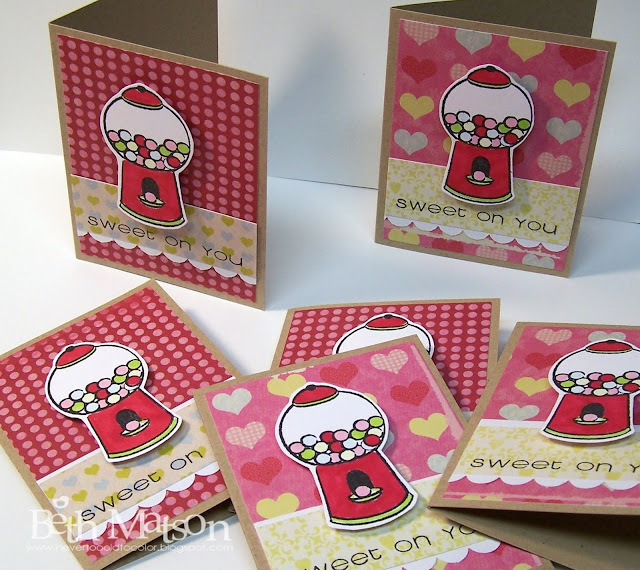 I thought it was time to get started on some Valentines so I pulled out my Sweet Tooth set from Clear & Simple Stamps and made a batch of small cards (4x3). I paired the set with some fun papers from the K&Company Lovely paper pack. Also, for those of you attending the CHA Supershow in Anaheim, CA at the end of the week don't forget to visit with Clear and Simple Stamps in booth #659. They will be unveiling their newest product at the Supershow and also hosting 6 different make and takes. For a schedule of make and take times go here. I will not be attending but I will have samples on display. Feel free to send me a photo if you spot one of my samples. Here's another card using the Tiny Princess collection of digital papers from The Digichick and the Live Life set from Clear and Simple Stamps. I stamped the branch with SU Pink Pirouette and then used my Quickie Glue Pen to add the glitter. Don't forget to stop and visit Clear & Simple Stamps as they debut at the CHA Supershow in Anaheim, CA. You will have a chance to meet with the owners and design team members throughout the weekend, as they host (6) fabulous make and take projects to get your creative mojo flowing. But wait, there is more! Clear and Simple Stamps will be unveiling their newest product at the Supershow. CHA attendees will have the exclusive opportunity to be part of this live release. You do not want to miss this! For a schedule of make and take times go here. Clear and Simple Stamps is celebrating their latest release of embellishments by sponsoring a fab challenge with Embellish Magazine. Play along with bold stripes against rich and sultry hues of purple and brown to win a Designer Mix prize pack of their products. We are talking about a major swag bag here: ink, cardstock, buttons, brads, clear block, ribbon, stamp cleaner, scrubber pad, and more. Join in the challenge for a chance to win…. Get creative and have fun here. Stripes can be added in lots of ways. Try patterned paper, ribbon, stamping, scoring, etc. With so many options you are bound to find a design element or embellishment that will just rock! 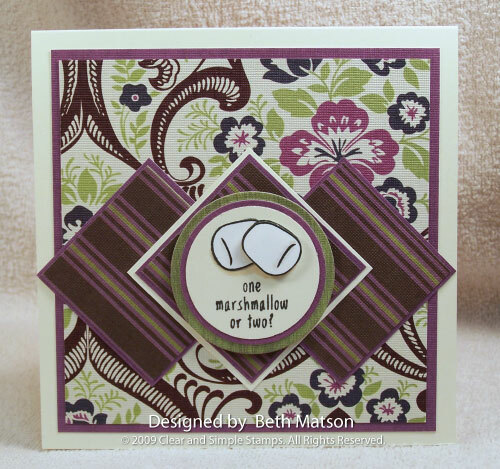 Check out the Embellish Magazine blog for some seriously adorable and extra perfect digi papers for the challenge, designed by Ashley herself. Upload your card to the Embellish site for your chance to win. 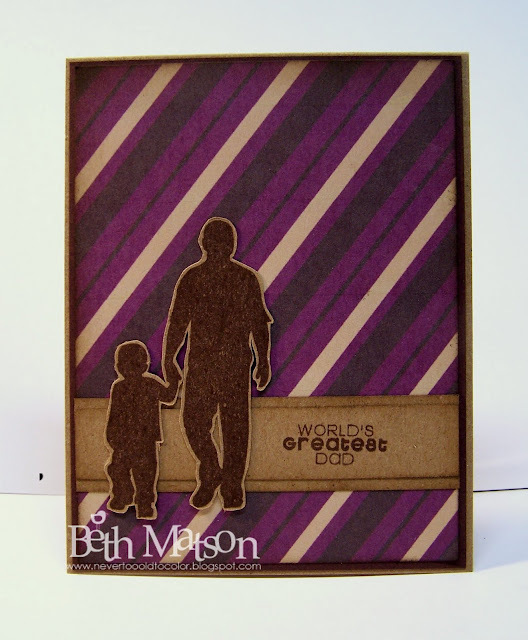 The card above uses the Hero Dad set from Clear and Simple Stamps. The striped paper is one of the wonderful digital papers available from the embellish site. For the bottom card I used a couple of sets from Clear and Simple Stamps. I used the Summer Sentiments set for the flowers and the "Anniversary". I wanted a larger font for the "Happy" to fit in the book plate so I used part of the "Happy Easter" sentiment from the Easter Basket set. That's right! 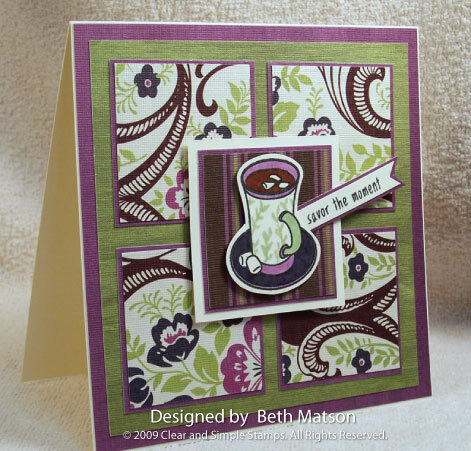 Clear and Simple Stamps will be on blog talk radio Sunday, January 17th, at 2:00 PM! Blog Talk Radio is an online radio station, and they will be featured on At Home with Victoria, a well known and highly respected journalist in the DC Metro area. And you may notice a familiar voice as our own Design Team member, Simone is a regular co-host for the show. Listeners may register for an email reminder to join the show on Sunday, January 17th. Just go here. 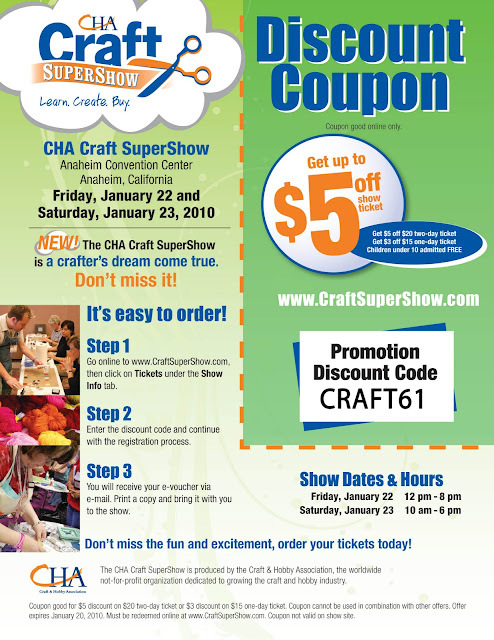 One more item of business - be sure to grab your $5.00 off coupon if you're attending CHA the end of this month, use promo code: CRAFT61 You can get it here. I bought myself a new printer for Christmas and I must say I am in love. I'm sure you're all well aware of my love of designer papers and what could be better than an unlimited supply of digital papers. 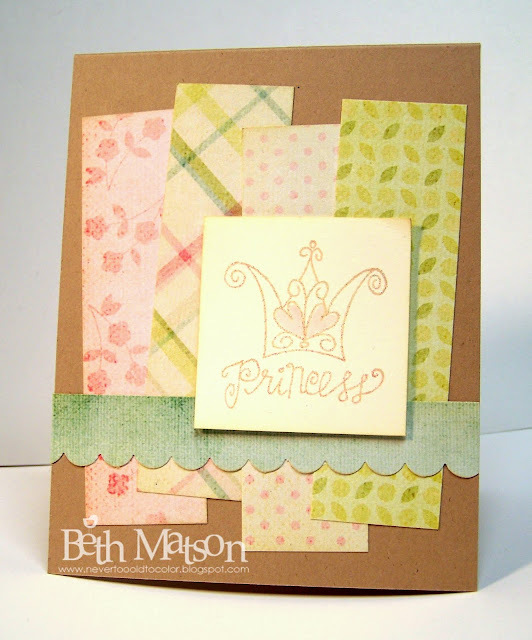 Currently I'm having a wonderful time with the Tiny Princess Patterned and Solid Papers from the digichick. Being able to print digital papers is so fun! Hope you're having a wonderful weekend! Thanks for stopping by. 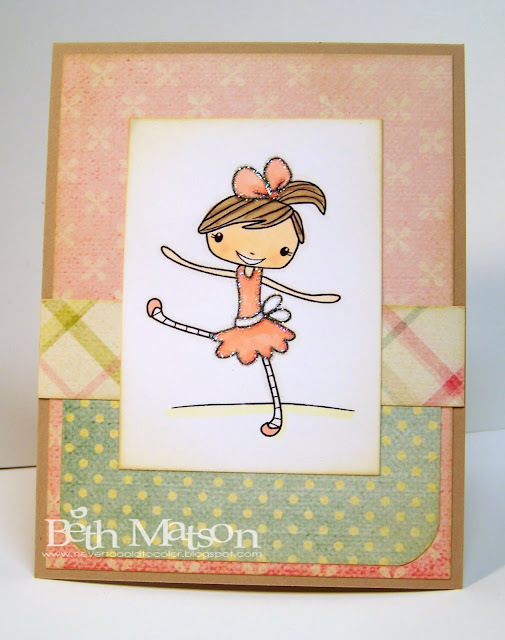 My girlfriends little girl turned six yesterday and she loves to dance so I made her birthday card with the Ballet Suzie image from DigiStamp Boutique. DigiStamp Boutique is offering a 15% discount on all digi stamps until January 10, 2010 so now is a good time to add some digi stamps to your collection. It's been especially cold here this past week so I think a cup of cocoa is in order or at least some cards featuring Clear & Simple Stamps Cup of Cocoa set. 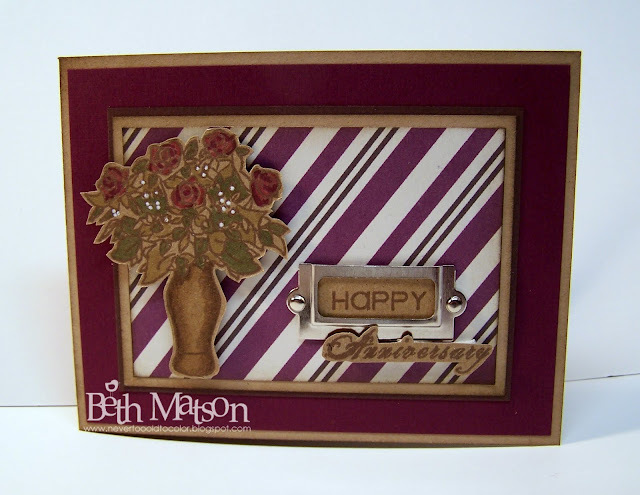 I paired the cocoa set with the DCWV Latte paper pack. I love the colors in this paper pack. 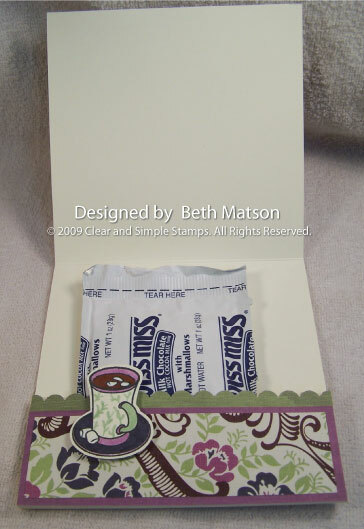 Next I decided to make a card that would hold a packet of cocoa. Hope this post has brought some warmth your way. Thank you so much for stopping by. Happy Stamping! Well, the last two weeks really flew by and now it's time to get back to blogging. It was so nice to take a little break. I did get some crafting done during the break so I do have projects to share but first I want to let you know that if you're planning on attending CHA in Annaheim at the end of the month that Clear & Simple Stamps has partnered with CHA to offer a $5 discount for those purchasing tickets. More CHA details available here. I hope you all had a wonderful Christmas and New Year's! I'll be back with a crafty post in a bit.